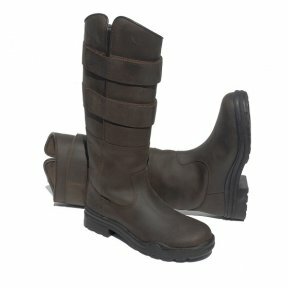 Country boots made from a waxy suede finish leather, with two Velcro straps for maximum size alteration. Great for everyday wear at the yard, out in the country or around town. They are designed to combine great style with performance. HBR waterproof and breathable membrane, keeps feet cool and dry. Features the RCS footbed system for all day comfort support and cushioning. Sweat control lining. Cupped heel and arch support and padded heel cushion. Steel arch foundation for added stability. Durable Tough Tech rubber sole for stability and Traction Control Grip HBR for waterproof protection from the elements and breathable to keep your feet comfortable and dry. 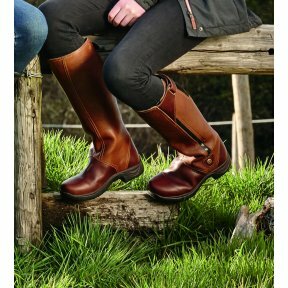 HBR waterproof and breathable country boot. Full grain leather with chap style leather overlay. RCS footbed system. Heel and arch support with double cushioning layer for great comfort. 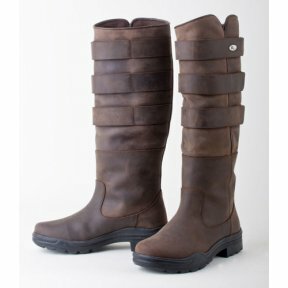 Extremely comfortable and practical for all outdoor activities. A great new addition to the Mark Todd Range! 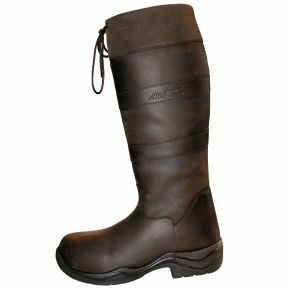 Waterproof, with three adjustable straps to accomodate most calf sizes. A firm favourite with the boss! 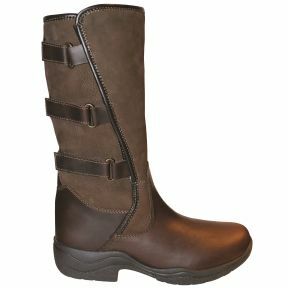 A fully waterproof, smart and comfortable tall boot. Available in Standard or Wide calf fittings.